CooksRecipes special collection of family-favorite recipes for appetizers and snacks that you can count on for successful deliciousness. 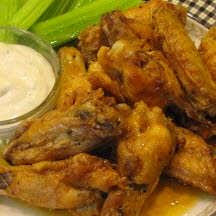 These spicy-hot wings, with accompanying "cool-down" blue cheese dip and celery sticks, are always a hit at parties! 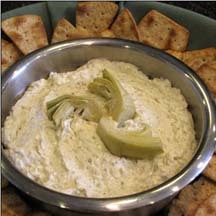 When planning a party or family celebration, this is one of the most requested dips. 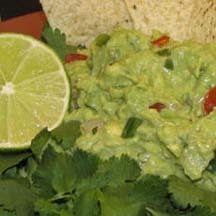 When mashing avocados for guacamole, don't over do it, instead try to leave little bits for texture, eye appeal and taste.